In this reply to Professor Graham Allison, the writer argues that it is in the interest of both small states and great powers to abide by international law. Professor Graham Allison is a brilliant scholar. He is currently the director of the Belfer Centre for Science and International Affairs at the Kennedy School of Harvard University. He had served previously as the dean of the Kennedy School. On July 16, this newspaper published an article by him entitled "Heresy to say great powers don't bow to international courts?" He concluded that: "It is hard to disagree with the realists' claims that the Law of the Sea tribunals, the International Court of Justice and the International Criminal Court are only for small powers. Great powers do not recognise the jurisdiction of these courts - except in particular cases where they believe it is in their interest to do so." Prof Allison also quoted, with approval, Thucydides' summary of the Melian mantra - "The strong do as they will; the weak suffer as they must…"
Thucydides lived in Athens in the 5th century BC or about 2,500 years ago. He wrote masterfully about the Peloponnesian War (431-404BC) between Athens and Sparta. His conclusion that "it was the rise of Athens and the fear that this inspires in Sparta that made war inevitable" is often referred to as the Thucydides Trap. The first point I want to make in response to Prof Allison is to point out that we do not live in Thucydides' world. We live in the 21st century. The world in which we live is fundamentally different from the world of the ancient Greeks. My second point is to refer to an event which has brought about revolutionary changes in the world. I refer to the Peace of Westphalia which took place in 1648. The peace treaties concluded in Westphalia brought an end to 30 years of war in the Holy Roman Empire and 80 years of war between Spain and the Dutch Republic. The historical significance of the Peace of Westphalia is that it created a new political order in central Europe based upon the concept of the coexistence of sovereign states. A norm was also created against interference in the domestic affairs of another state. We can say that the concept of the sovereign state, which is central to international law and the world order, owes its origin to the Peace of Westphalia. Third, I wish to refer to the founding of the United Nations in 1945 and the revolutionary character of the UN Charter. The UN Charter has created a new and a better world. For example, it recognised the right of people to self-determination and independence from their colonial masters. It created an organisation in which all states, big and small, are entitled to one vote. The Charter's objectives include the development of international law, the protection of human rights, the prevention of war and the promotion of economic and social progress. It prescribed that disputes should be settled peacefully and force can be used only in accordance with the Charter. The UN is certainly an imperfect organisation. However, it has helped to create a safer and better world. It is a world governed by laws, rules and principles. 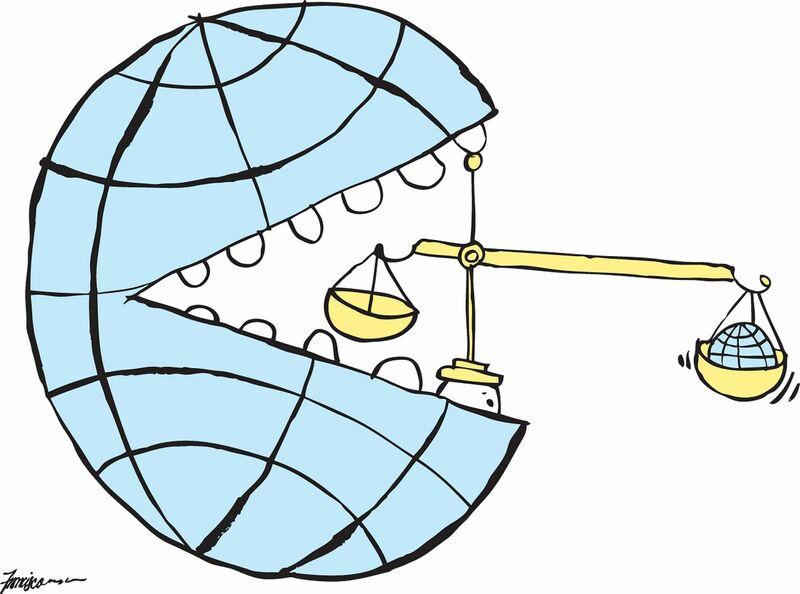 It is a world in which states, big and small, are held accountable for their actions towards other countries as well as towards their own citizens. Unlike the world of Thucydides, great powers cannot do as they wish and small countries must suffer in silence. It is, of course, true that great powers have often resorted to the use of force to achieve their political objectives. However, even great powers do not want to live in a chaotic and lawless world. They prefer to live in an orderly world. At the same time, they claim to have the right to act against the law of nations when their vital interests are at stake. Life is, therefore, a constant struggle between the rule of law and the rule of might. It is the ambition of small countries to strengthen the rule of law and weaken the rule of might. It is the aspiration of small countries to curb the unilateral use of force by the great powers. Fourth, as a small country, Singapore has worked with other like-minded countries to strengthen the rule of law. At the UN, Singapore has a consistent record of defending the principles of the UN Charter and standing up against countries which have violated them. Thus, Singapore opposed Indonesia's invasion of Timor Leste in 1975, Vietnam's invasion of Cambodia in 1978, the Soviet Union's invasion of Afghanistan in 1979, the US invasion of Grenada in 1983 and Iraq's invasion of Kuwait in 1990. Contrary to the realists' belief that power and force will always prevail over law and justice, I would point out that in all the five cases, the aggressor failed to achieve its objective and eventually withdrew. Fifth, the World Trade Organisation (WTO) is a very important international organisation. It was founded in 1948 as the General Agreement on Tariffs and Trade (Gatt). Under Gatt, dispute settlement was voluntary and not mandatory. In 1995, Gatt was reincarnated as the World Trade Organisation. Unlike Gatt, under the WTO, dispute settlement is mandatory and not voluntary. The good news from WTO is that in 90 per cent of the cases, including those involving the great powers, including China, the losing parties have complied with its decisions. Why do the great powers choose to comply? Because it is in their enlightened self-interests to do so. I personally chaired a dispute panel in 2000 to consider a complaint brought by Australia and New Zealand against the United States, alleging that the latter had violated its obligations under the WTO's Safeguards Agreement. The panel unanimously found in favour of Australia and New Zealand. The US appealed to the Appellate Body but was unsuccessful. In the end, the US complied with our decision. Sixth, I will now briefly review the records of France, the United Kingdom, Russia and the US on their compliance or non-compliance with the rule of law. Let me begin with France. In 1953, France and the UK brought their dispute over Minquiers and Erehos to the International Court of Justice (ICJ). France lost the case and complied with the court's decision. In 1973, Australia and New Zealand brought a case to the ICJ against France to stop its nuclear tests in the South Pacific. The court issued an injunction for France to stop the tests. France carried out two more tests before stopping. In 1974, the court decided that it was unnecessary for it to issue its final judgment as France had agreed to stop further testing in the South Pacific. In 2000, Seychelles brought a case against France to the International Tribunal for the Law of the Sea (Itlos). The dispute involved the quantum of a bond which France had imposed for the release of a Seychelles-registered ship, Monte Confurco. France had imposed a bond of 56,400 francs. Itlos reduced the amount to 18,000 francs. France complied with the tribunal's decision. In 2001, Ireland unilaterally initiated arbitral proceedings against the UK regarding a MOX plant. The UK argued that the tribunal had no jurisdiction. The tribunal ruled that it had jurisdiction and the UK did not withdraw from the arbitration. The tribunal ordered the two countries to cooperate, to monitor the risks of the plant to the Irish Sea and to prevent pollution of the marine environment. The two parties agreed to cooperate and Ireland withdrew the case. Last year, Mauritius instituted arbitral proceedings against the UK regarding the Chagos Marine Protected Area which the British had proclaimed in the Indian Ocean. Prof Allison has misunderstood the award of the arbitral tribunal. The issue in dispute was not the legality of the marine protected area but the failure of the UK to consult with Mauritius. The tribunal required the two parties to enter into negotiations on the protection of the marine environment in the Chagos Archipelago. In 2007, Japan brought a case against Russia to Itlos for the release of a ship, Hoshinmaru, which had been detained by Russia. Japan complained that the bond imposed by Russia of 22 million roubles was excessive. Itlos ruled that the bond should be reduced to 10 million roubles. Japan paid the amount and Russia released the ship. In 2013, the Netherlands unilaterally initiated proceedings against Russia concerning the arrest of a ship, Arctic Sunrise, and the detention of its crew. The Netherlands requested Itlos to order Russia to release the ship and the crew. Russia rejected the jurisdiction of Itlos and refused to participate in the proceedings. The tribunal proceeded in the absence of Russia. The tribunal ordered Russia to release the ship and its crew upon the posting by the Netherlands of a bond of €3.6 million. Three months after the ruling, the crew was released and the ship was released after another three months. Russia insisted that it was acting in accordance with its domestic law and not the ruling of Itlos. At the end of World War II, the US had a vision. It wanted to replace a world of chaos and conflict with a new rules-based world order. The US led the way in the development of international law to limit the use of force, to protect human rights, to promote free trade and an open world economy. The world in which we live, the institutions of governance, the laws and rules are largely inspired by that American vision. In recent decades, however, several US administrations seemed to have turned their back against their own creation. Invoking the mantra of American exceptionalism, the US has refused to ratify treaties it has signed, withdrawn from some others and violated some by which it is bound. Unlike his predecessors, however, President Barack Obama has tried to bring the US back to its historic position of upholding international law. Prof Allison was right in referring to the Nicaragua Case as an example of how the US had ignored the decisions of international courts and tribunals. He did not, however, mention that President George H. W. Bush changed his administration's policy towards Nicaragua. He instituted an aid package of US$500 million for Nicaragua. Recently, the US paid Iran US$278 million (S$376 million) to settle a claim before the Iran-US Claims Tribunal. In 1996, the US paid US$61.8 million to Iran to compensate for the victims of the downing of Iran Air 655 by the USS Vincennes in 1988. I shall conclude. We live in an imperfect world. All countries, big or small, wish to live in a peaceful and stable world. We all aspire to live in a world governed by law rather than by force. Do the great powers abide by the rule of law? The record is a mixed one. However, it would not be wrong to say that, most of the time, they do comply with international law and the rule of law. They do so not because of idealism but because it serves their interests. As great powers, they help to shape our institutions and formulate our rules. Their interests are better served by a world of order rather than a world of anarchy. It is therefore incorrect for Prof Allison to say that the international legal institutions for dispute settlement are only for small powers. 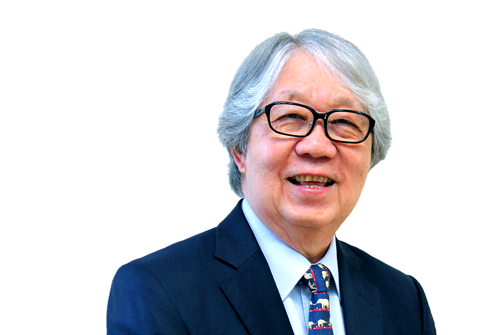 The writer is chairman of the Governing Board of the Centre for International Law of NUS.